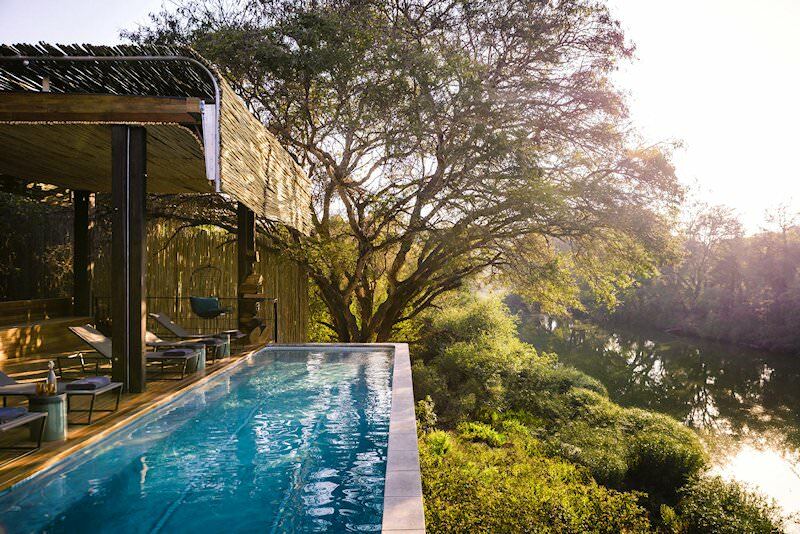 Singita Sweni is perched above the lush throes of the Sweni River in the Kruger National Park. 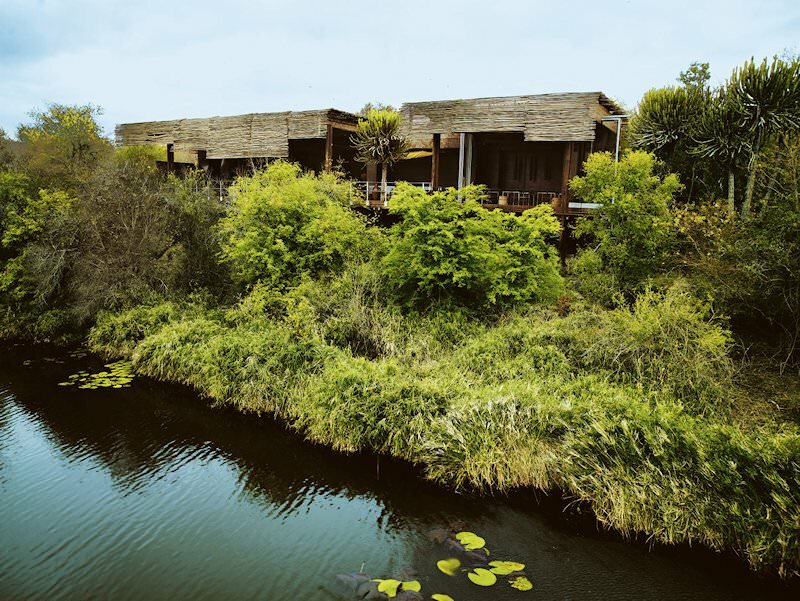 Singita Sweni Lodge seems to hover over the ground where it is nestled amongst hundreds of trees on the banks of the Sweni River. 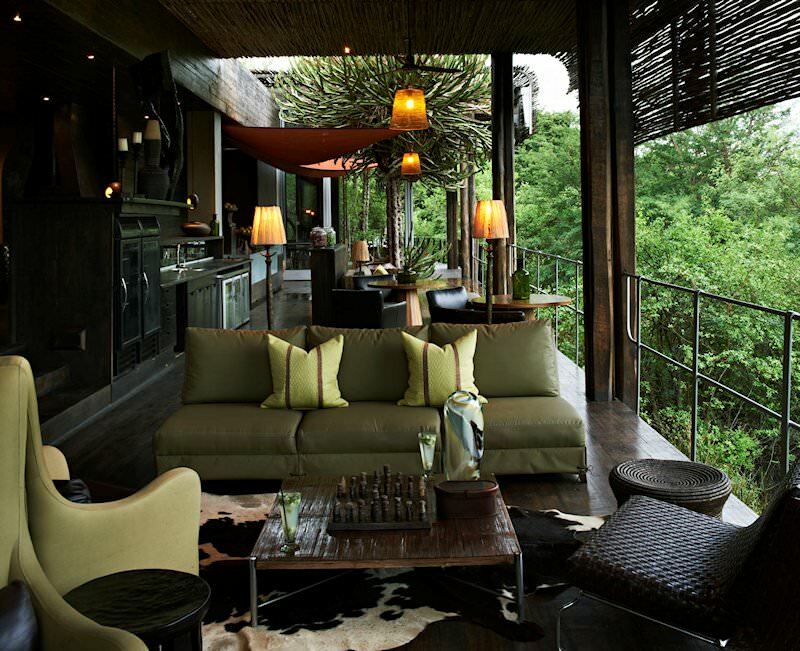 The lodge offers a luxury South African safari on a 33 000-acre concession in Kruger National Park. Away from the day visitors and the busy roads full of tourists, Sweni Lodge offers enchanting accommodation overlooking the river. 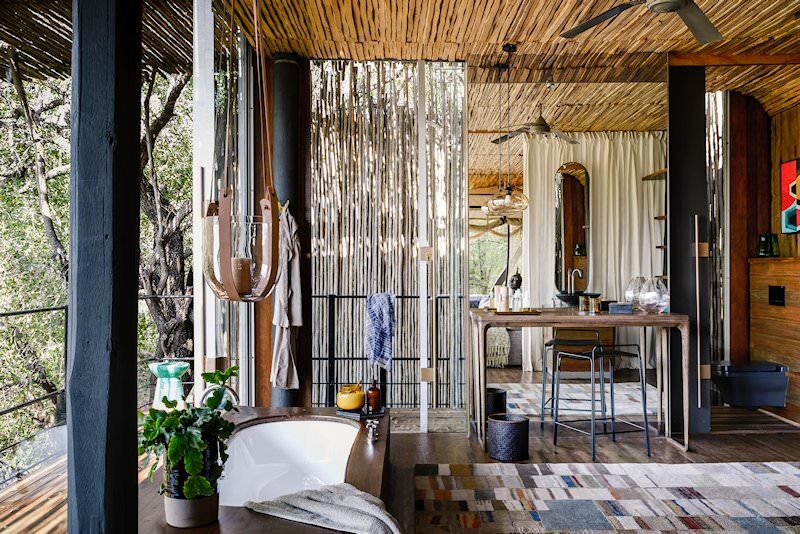 Singita Sweni offers six very exclusive one-bedroom suites, all en suite. 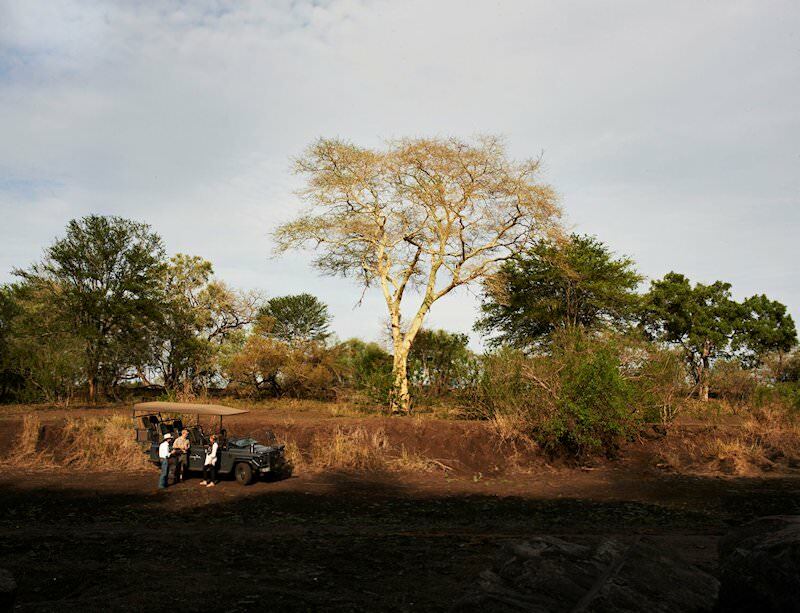 There are a wide range of activities that guest can partake in to experience the best safari possible. Game drives are at the top of the list, as no safari can be complete without encountering the magnificent wildlife of Africa up close. Closer still are guided walks, with a tracker and guide to track animals in the African bush. Mountain biking, archery and fishing are for the more adventurous, while the gallery, gym and lodge pool provide additional leisure. The Bush Spa offers an array of treatments, all designed from a holistic approach to enhance beauty and tranquility through personal attention. Experience the treatments in the privacy of a suite, your private deck or at the spa. Personalized wine tasting at the wine cellar which holds some of the Singita Group's 20 000 bottles will be another truly unique experience at Singita Sweni Lodge. 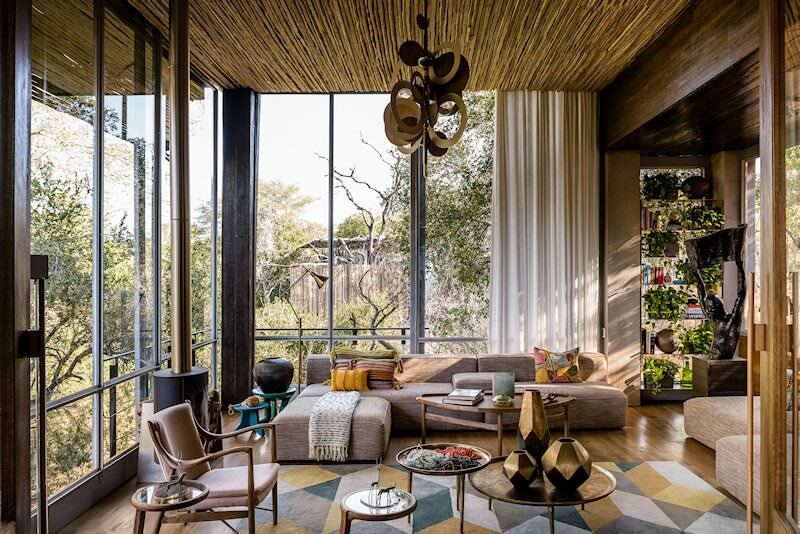 Guests are chartered directly to the Singita private concession from O R Tambo International Airport for their luxurious Kruger National Park safari. 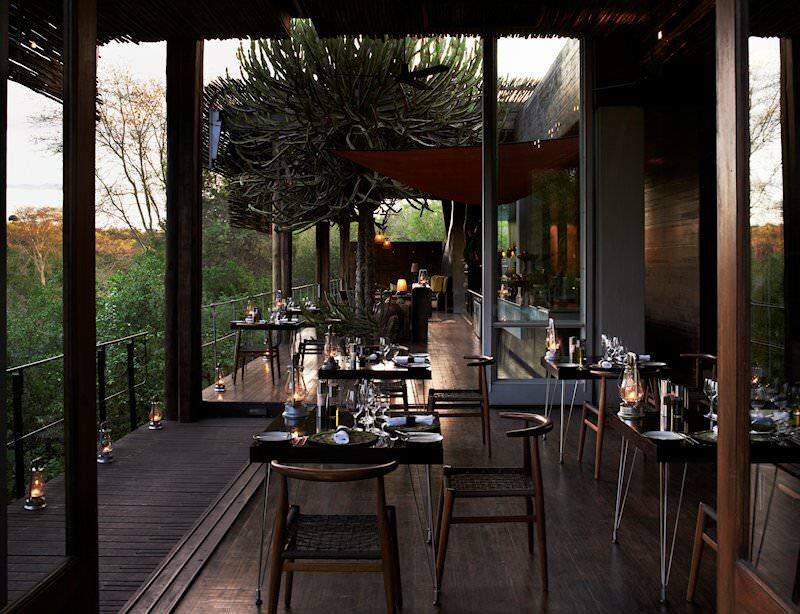 Singita Sweni is a luxury lodge overlooking the verdant banks of the Sweni River. 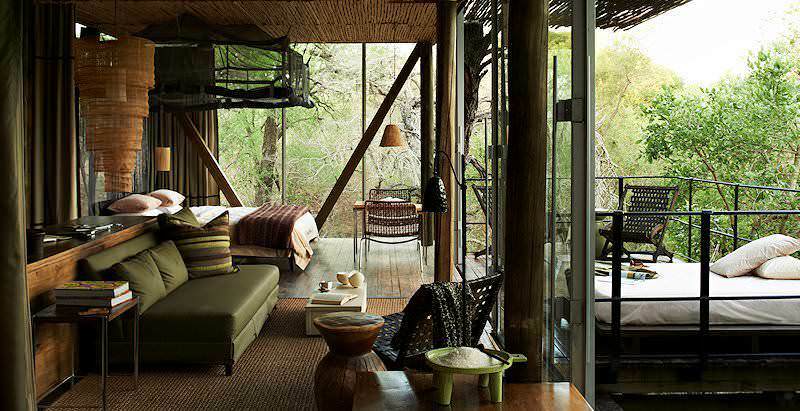 The lodge’s earthy green textures provide the spectacular illusion that the units are melting into the undergrowth. Every meal is a gourmet affair. 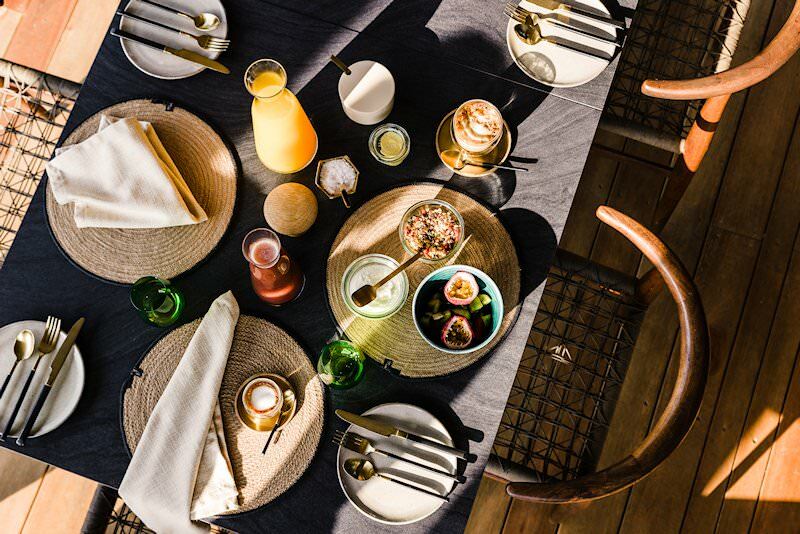 Activities range from typical open air 4x4 game drives and bush walks to pampering spa treatments, a trip to the Singita School of Cooking in the staff village, mountain biking, fishing, stargazing and archery. 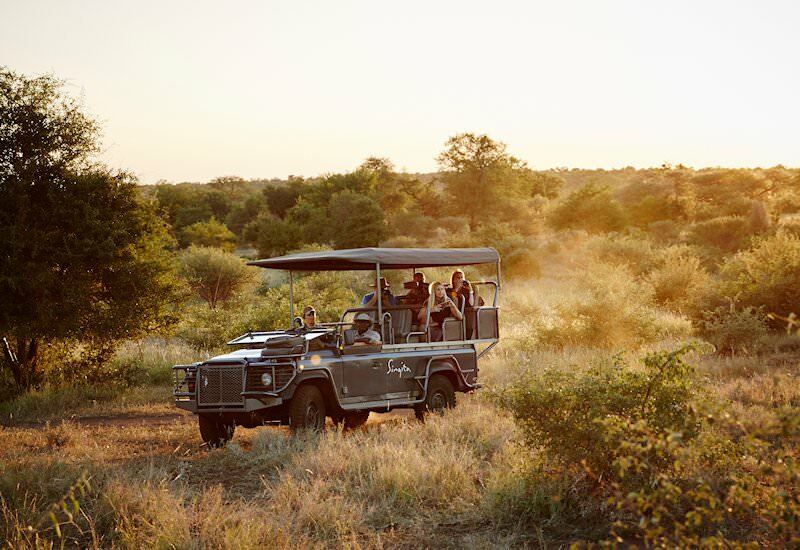 The Big Five is prevalent throughout Kruger National Park, and the lodge's exclusive location means that sightings will be a wonderfully private event. South Africa's safari areas host great numbers of the Big Five, like Addo and Kruger Park. Botswana boasts myriad unique safari destinations, from deserts to deltas. Namibia is an immense desert country with bewitching natural scenery. Mozambique safaris are characterized by beach leisure and ocean-based adventures. 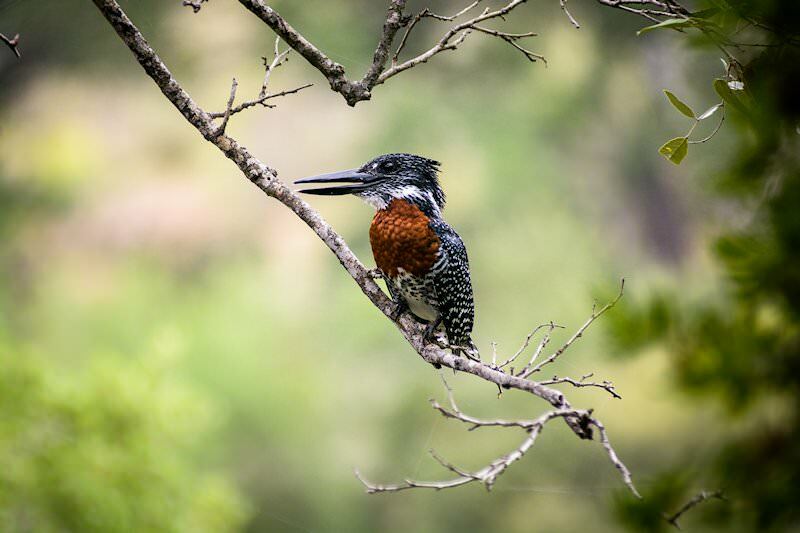 Our Kruger Park safaris are sought-after for the prolific game viewing visitors enjoy, from sightings of the Big Five to a wealth of plains game species. 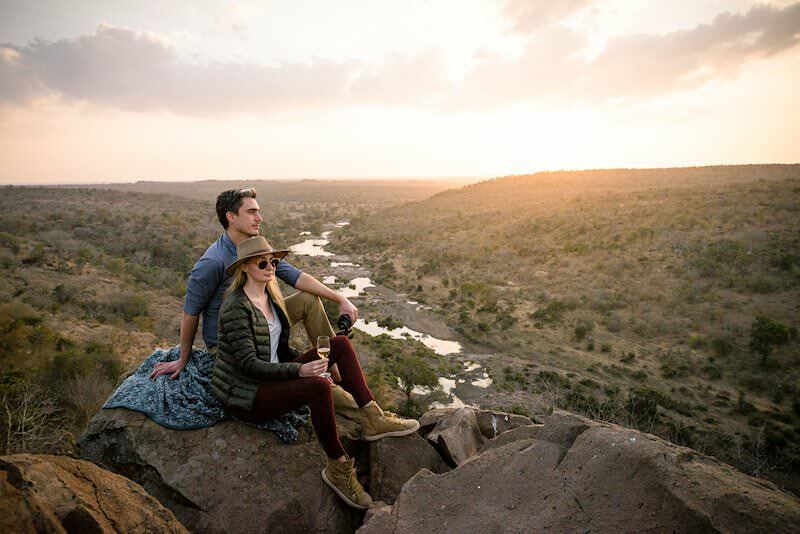 The luxury safaris offered by African Sky are plush adventures that comprise thrilling safari activities, fine dining and sumptuous lodgings. Africa's Big Five are the continent's most impressive mammals, from the elusive leopard to the majestic elephant. 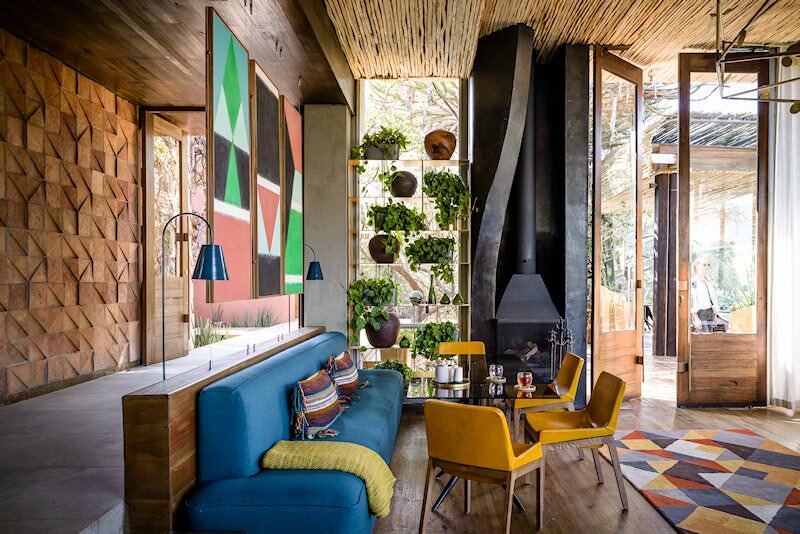 The African lodges included in our packages range from basic tented camps to extravagant villas and suites with every creature comfort.